those who work within the Partners network. When: February 21st, 5 - 6 p.m. The Partners Clinical Informatics and Innovation Fellowship is a two-year program designed to train physicians as leaders in the field of clinical informatics. During the program, fellows actively engage in rich information technology innovation activities ongoing at Partners HealthCare. The current class, William Gordon, M.D., Heather Lyu, M.D. and David Rubins, M.D. will join iHub at the next Digital Research Forum on Wednesday, February 21st to present on their current projects. Sync4Science (S4S) is an NIH-led effort to allow patients to directly share their clinical EHR data with 3rd party researchers and applications. Using API (Application Programming Interface) technology, along with the Fast Healthcare Interoperability Resource (FHIR) data standard, S4S is a paradigm shift in electronic data sharing. The first implementation for S4S will be supporting the NIH All Of Us million-patient cohort program, and work is underway for Partners to be a pilot site for S4S. William Gordon, M.D. is an internist at Massachusetts General Hospital and Instructor of Medicine at Harvard Medical School in Boston, Massachusetts. He has worked in both academic medicine and industry, and is currently the 2nd inaugural clinical informatics fellow at Brigham and Women’s Hospital, also in Boston. Dr. Gordon has developed and written extensively on health IT software development, information security and privacy. The BWH Clinical Pathways application was designed to track and measure compliance with various clinical care pathways. It is a web-based app that interfaces with EPIC, Partners’ EHR system, to automate tracking of all, particularly surgical patients, on care pathways. We started with the design and implementation of the Small Bowel Obstruction (SBO) Pathway application which includes a visual dashboard of all enrolled surgical patients with adhesive SBOs on the pathway. The data from the app are available to serve as metrics for compliance. Following successful implementation of the SBO pathway, we hope to extend electronic integration of care pathways for other specialties. 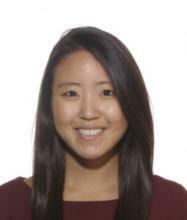 Heather Lyu, MD is a general surgery resident and a first year clinical informatics fellow at Brigham and Women’s Hospital in Boston, Massachusetts. She is interested in clinical care pathway development and electronic integration of pathways to improve data collection, particularly that of process measures and outcome metrics. The majority of my work during fellowship has been on analyzing and improving clinical decision support within Partners eCare (Partners implementation of Epic). This has occurred via two routes. First, I am a certified Physician Builder through Epic and have worked with various departments (e.g. Infectious Disease, Lung Transplant) to develop customized reports and visual ways of presenting data. Second, I work with Clinical Decision Support team at PeC to analyze and refine the BestPractice Advisories in production. David Rubins, MD is a hospitalist at Brigham and Women’s Hospital and Instructor of Medicine at Harvard Medical School in Boston, Massachusetts. 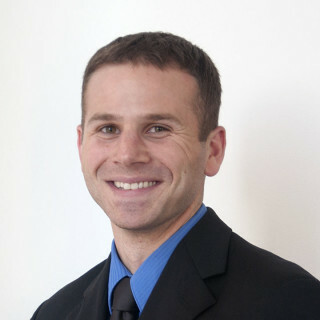 He is currently a first year clinical informatics fellow at Brigham and Women’s Hospital, also in Boston. He also works at Partners eCare on the Inpatient Clinical Decision Support team.